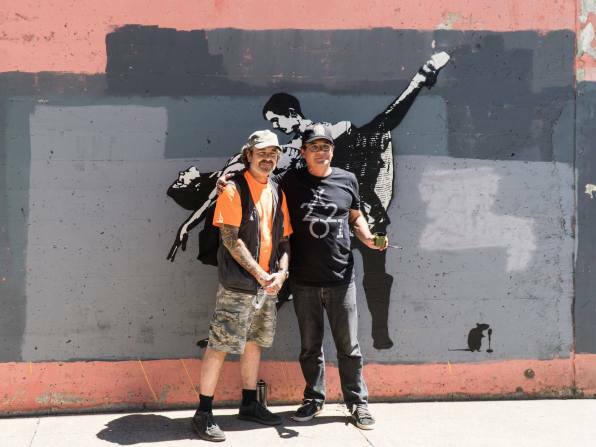 Graffiti Street | The concept of a large scale public art project such as 20x21EUG came from Isaac Marquez, Public Art Manager for the City of Eugene in 2016 and has continued into 2017 with Chinese street artist Hua Tunan, the Godfather of Stencil Art, Blek le Rat and now Hush. 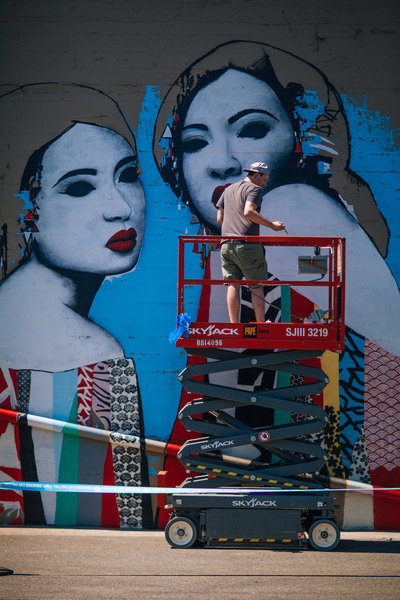 Graffiti Street | The 20x21EUG Mural Project is an initiative of the City of Eugene Cultural Service's Public Art Program to create 20 or more world-class outdoor murals in Eugene between now and the 2021 IAAF World Championships. This is the first time the World Championships will be held in the United States. Eugene Weekly | Just after I moved to Eugene about a year and a half ago, Eugene Weekly ran a story titled "Art: It Could Happen Here" [EW, Feb. 4, 2016]. 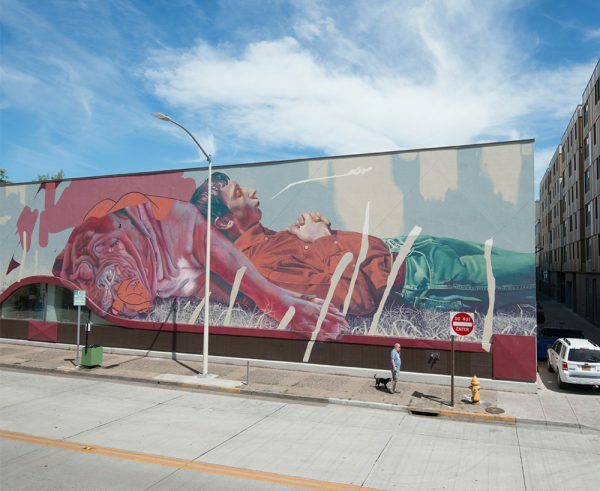 Written after the city-subsidized Jacobs Gallery had closed, the article suggested that Eugene might have to change its slogan from "A Great Place for the Arts and Outdoors" to "Eugene, A City Where People Go Outdoors." Had I moved to a town without art? 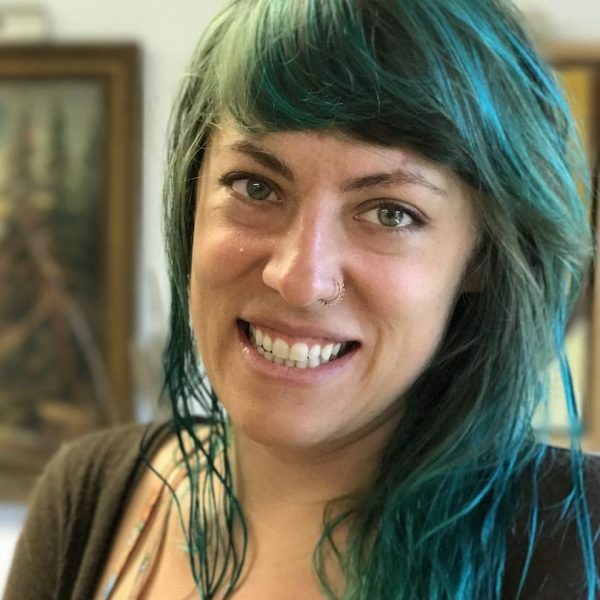 Eugene Magazine | The magic of the 20×21 Eug Mural Project this summer is impossible to capture in words or images, but we're going to try. Nine artists from six different countries descended on our fair city armed with paintbrushes and spray cans, ready to make it fairer still, all the while working through the hottest week of summer. 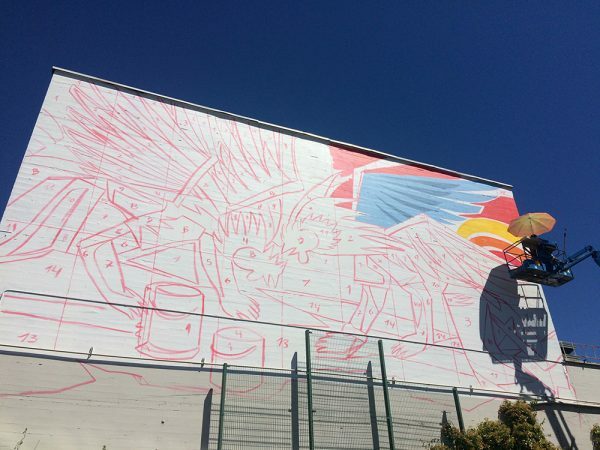 KLCC | Have you seen the dynamic murals popping up all over Eugene? 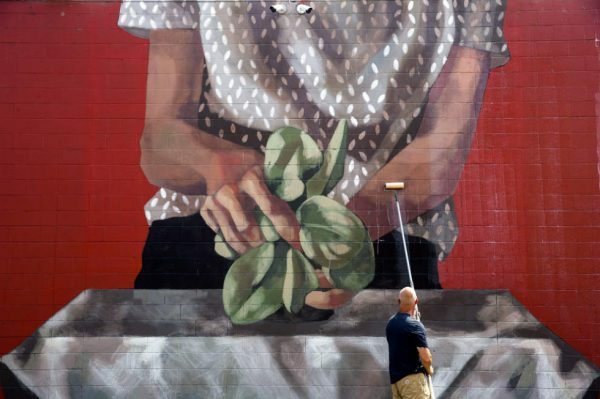 They are part of the 20x21 Mural Project, an initiative to create 20 or more world-class outdoor murals in Eugene between now and the 2021 IAAF World Championships. The Register-Guard | Portland-based anti-graffiti expert Paul Watts of Graffiti Removal Services applies The World's Best Graffiti Coating to the mural painted by artist Hyuro on the walls of The Kiva grocery store in downtown Eugene. 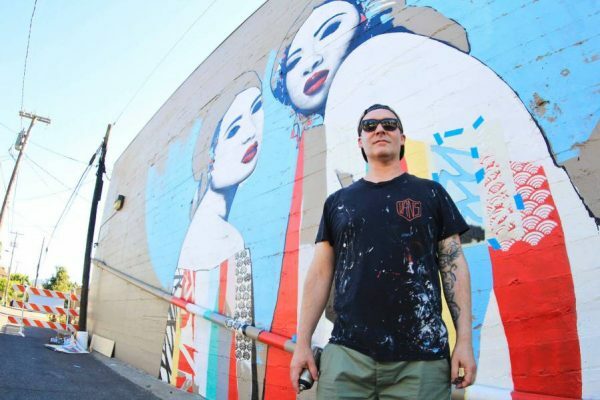 The Register-Guard | The First Friday ArtWalk series for August will feature a tour of new murals by seven urban artists from around the world. 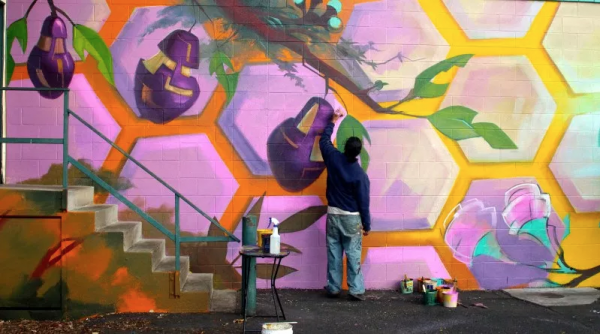 KVAL | Seven artists from all over the world are in Eugene to paint murals around the city.